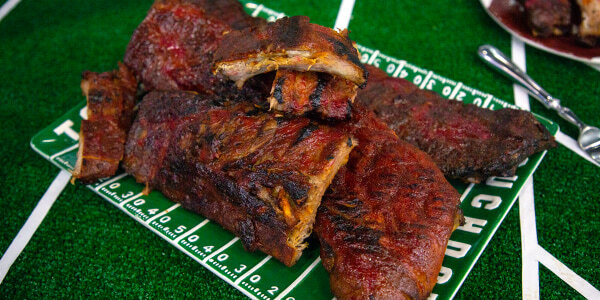 For Sunday's big game, Giada makes finger-licking sticky ribs in honor of Kansas City Chiefs and a slow-cooker cioppino for the New England Patriots. Chef, cookbook author and TV show host Giada De Laurentiis is stopping by to cook up delicious recipes for the next installment of the TODAY Food Loves Football series. 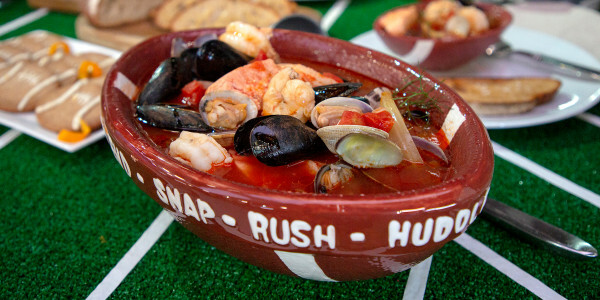 To celebrate Sunday night's big game, she shows us how make finger-licking sticky, spicy ribs with plum barbecue sauce in honor of the Kansas City Chiefs and a slow-cooker seafood stew (aka cioppino) for the New England Patriots. 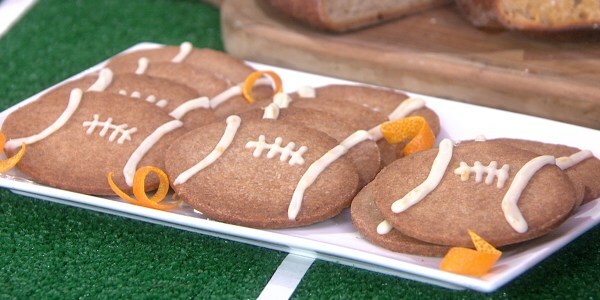 Plus, she bakes up a batch of spiced walnut football cookies for a sweet game-day treat. 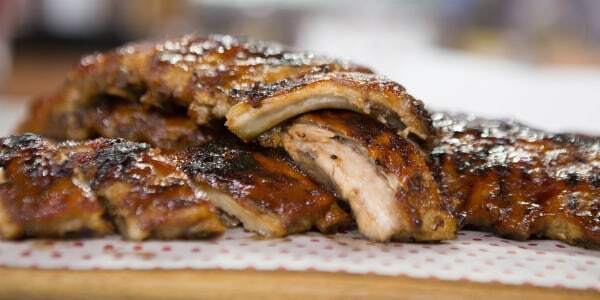 "These ribs are sweet, spicy and little smoky and the perfect finger food for game day," says Giada. "It's also a great way to use up stone fruit at the end of the season." "This is such a satisfying but still light and healthy meal all done in the slow cooker. Serve with some crusty bread for dipping and call it a night!" 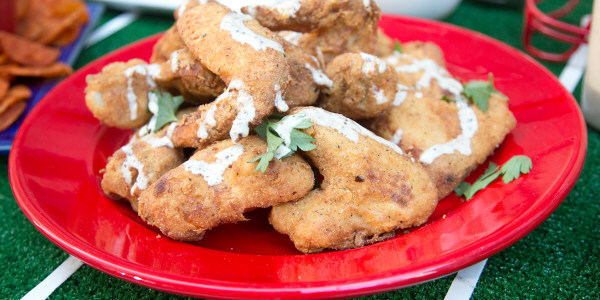 "This recipe simply tastes like fall making it perfect for a game day treat. Enjoy them either at the stadium or in the comfort of your own home."